The success of every enterprise depends on how well its internal structure works. With strong motivational skills, it is almost entirely possible to keep everyone on their personal bests. To get to this point, the management requires special motivation skills that will help them improve its image as leader and its ability to encourage others. Many management learning systems are initiating to introduce special learning programs for this cause. A popular approach is gamified learning, in other words, to get management, learn through gamification. Gamification is the use of creative game dynamics to stimulate learning. Most people relate to the rush of playing games they used to feel when they were kids. This same feeling can be used to encourage management to learn and develop skills on motivation. The games designed for the learning management system in particular are designed in a manner that places the gamer in difficult situations. They must then apply their analytical skills and reasoning to arrive at a solution to the problem. At the end of each level the gamer would receive a badge or points as a reward for clearing the level. As the participant keeps clearing levels and moving up he will encounter more difficult scenarios that will truly put him to test. All of these hypothetical situations help them create a strong knowledge and skill foundation which can later be extracted at any point of time and applied to real life events. For executives who have just started out their career or even for those who have prior experience this method can prove to be equivalent to hands on experience in the field. Almost all of the participants who have tried gamification learning have agreed that it is an excellent way to learn and acquire skills. It has also come to attention that motivation strategies may be developed while playing these games which can help improve the way your employees perceive you and your leadership in the office. Almost all of the traditional methods of training have required management to take a much longer route to get to the end point. 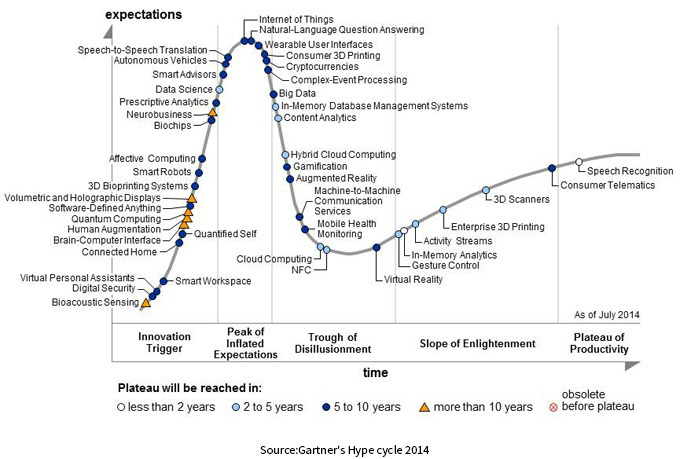 With gamification learning the same can be achieved in a short span of time. These systems do not cost a lot and are very simple to set up as well. Without a doubt gamification learning systems are a much more efficient solution to a company’s training needs. Your challenge is to build an agile workforce that can achieve your company’s growth and profitability goals. The executive team expects it to be done quickly and efficiently, with high levels of participation and retention. One obstacle standing before you is that the traditional classroom model is proving less and less effective in meeting corporate learning needs. Classroom teaching consumes large blocks of uninterrupted time, moves at a fixed pace, provides little ongoing feedback, and other than a certificate at the end may provide participants with little recognition for their efforts. Recorded courses delivered to a PC address some of these shortcomings, but they are better as a test administration method than as a way to build core knowledge. Over the past decade gamification, or game-based learning, has been emerging as an alternative to traditional classroom instruction. Its ability to improve the speed and quality of corporate learning is becoming apparent as both large and small companies adopt it. 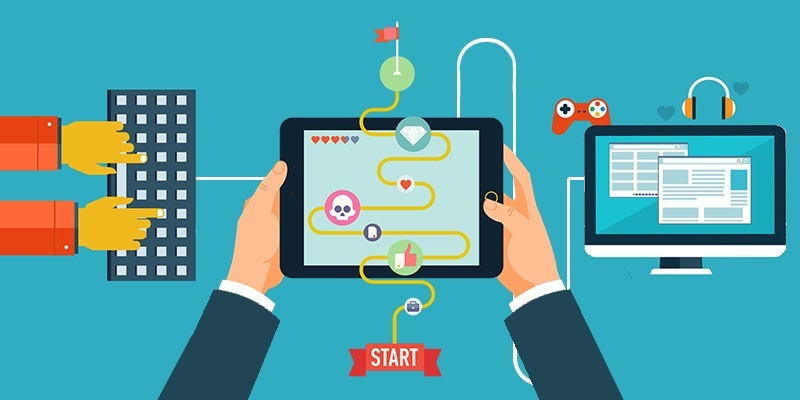 Gamification is the application of concepts such as point accumulation, recognition, player journeys, player collaboration and other gaming design principles to engage participants in tasks and activities. You may be a participant in an early and still vibrant application of gamification -- airline loyalty programs. As in many online games, frequent flyers can accumulate rewards, earn status and gain privileges. McDonald’s in the UK, with over 1300 locations,trained its staff on a new cash register system using a live service simulation that included competitive time trials, scoring, lifelines, and customer satisfaction scores. HP is supporting its sales force accreditation process with multiple training modules, some of which use games to reinforce product knowledge and others that have participants use their sales skills training in simulated selling situations. Accenture used a recognition system to encourage wider use of a new collaboration application. Leading employees were scored and recognized for blogging, rating content, and creating user profiles. Game-based training offers numerous benefits over traditional classroom based or passive e-learning. It delivers many of the benefits of “hands-on” training while adding motivational elements (scoring, recognition) that promote employee participation and achievement. Game-based training can have an impact throughout the corporate learning agenda. Training for specific, discrete tasks in service and manufacturing environments can be delivered in short separate modules to improve retention of each task. Onboarding for new hires can familiarize employees with company policies and processes on such subjects as safety, ethics, and IT security, and assess their retention with situational simulations. Product and solutions training – a critical need for global sales forces – can be gamified to give recognition to sales staff for increasing their subject matter expertise. While the “formal” learning agenda is important, there’s another learning landscape where gamification may be even more critical – new technology and process adoption. Companies may spend tens of millions of dollars on enterprise, CRM and knowledge management systems only to find that employees are reluctant to adopt them. Game-based support applications for Oracle, salesforce.com, SAP and SharePoint are becoming an accepted part of new employee onboarding and company-wide implementation programs. 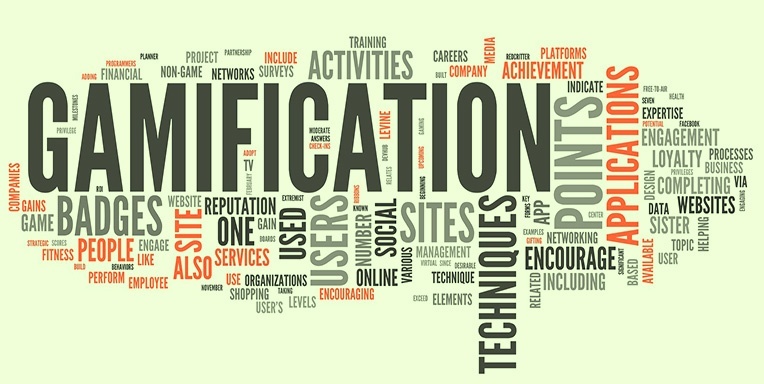 There’s skepticism about gamification, and it’s well founded. Game-based training is behavior-based, so pre-conceived notions about learning preferences can be a point of resistance. Your colleagues may dismiss it as a gimmick to attract smartphone-obsessed Millennials. It’s also a new field populated with many companies with varying levels of skills and experience. Start small. Identify one area that needs improvement. Employees may take too long to complete onboarding. Refresher training in ethics, safety or sexual harassment may have poor participation rates. Decide on the topic and the improvement you seek, whether it’s faster completion times, higher participation, or improved retention. Talk to multiple game-based learning developers. Look for a partner who has successful experience in your topic area and asks penetrating questions about your workforce, goals, and content. Before you select a developer, talk to reference customers about their results. Set senior management expectations. Your program is about improving the quality, efficiency and impact of corporate learning. Explain your goals and get their buy-in. Launch and evaluate. Set expectations for employees, supervisors and managers, and expect a few technical hiccups along the way as you implement the program. Assess the results and decide on your next steps. 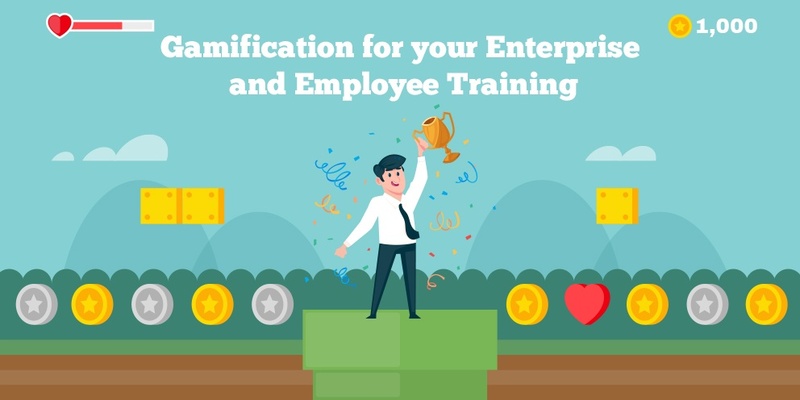 Gamification and game-based training are in their infancy, but are rapidly entering the mainstream and over the next decade will become an important part of the corporate learning landscape. It may be counter intuitive to start managing a change before you know what it is, but as you discuss the possibilities with the people involved, they will discuss it with others. You will benefit by getting the right message out early. You can start things in the right direction by asking for input. Make the conversations casual to gain the most positive participation. It is said that the best way to learn is to learn from your mistakes. This is absolutely fine while you are at college or interning but in a real work environment there will be no room for errors. Every misstep could cost you dearly and is not at all worth the learning experience. But to learn you must challenge yourself and to challenge yourself the only thing you can do is to place yourself in a simulated environment. These make-believe worlds will give you the freedom to learn from trial and error. The science behind gamification : another reason why people don’t make a lot of mistakes is because they avoid any situation that will put them under the spotlight. With the help of gamification it will be possible to coax these same people out of their shell and motivate them to try new things and learn from their experiences. Learning that truly engages your attention : once you have had a chance to try these simulated games you will be able to interact with the game itself and also other employees who you are playing against. This interaction is what makes the entire process fun and engaging. The more you play the more joy you find in the learning process. Retaining knowledge : learning should not just end when the game is finished but must go beyong that into the real world. Only when knowledge and skills acquired through this process are retained and applied in a real life scenario can they truly be a successful endeavor. User friendly : all of the games that were designed to stimulate and encourage the human mind to grow and learn were created with a particular purpose. None of these games are hard to play. No matter what age group you fall under you can be sure that these learning techniques can be used. Whether you are a student just grasping the basics of life or an adult working for a large corporate deep down inside you want to broaden your skills. The only problem is that you are not familiar with the ways of achieving it. Through interactive gaming and learning you can do this and a whole lot more. As long as you have your goals in sight you can set out to achieving them by clearly one round after the other and winning rewards. Consumer portals or customer portals are multi-channel applications that easily encourage sharing of information and content between your customer, partners and your team members in your organization. Information gathered and analyzed from a customer portal allows enterprises to better aggregate insights on customer behaviours, needs and future expectations on companies products or services. These portals play a crucial role in building products around your customer expectations and also help customer to pick the right partner according to the requirements. When it comes to Automotive industry there is a huge competition between different OEM’s and dealers in making the sale happen. Though we have great product attracting the customer to buy, the product is a big challenge in this industry. With buyer centric market, there is great deal of research done by the buyer before the actual product. So for OEM’s in providing additional value for their dealers, they have to constantly innovate in delivering value for their dealers. Also consumers expect to visit qualified dealers who can answer their questions and enhance the overall buying experience. Most of the OEM’s train their dealers or partners using one or the other Learning management system. This OEM using SumTotal as their learning management system offer services to their global network of dealers. They would like to train their dealer personnel on their products, services and parts that would bring value and ultimately increase profits. They have built consumer portal to offer information and services to their existing customers and also to educate and attract new customers towards their products. As part of this process, they would like to enhance the value to their OEM and help the consumers in picking up best dealer in their location. To achieve this, we have built a consumer portal with gamification approach tied to dealers. There is wide variety of training offered to the dealers in the areas of sales, products, parts and services. Dealer personnel have to complete this training using their Sumtotal learning management system. All the training is maintained and tracked in Sumtotal. Now the real part of this training has gamification approach, so that they wanted to build sporty competition among their dealers. Badges are tied to each of these certifications. Based on their completions, these badges are displayed against each dealer on their consumer portal. There are metrics and ratings build around number of completions, number of certified personnel, time spent to complete the training and assessment results. CSI ratings for each dealer are applied on providing dealer ratings. This ultimately led to better decision making power for the consumer. When it comes to consumer, he will be searching for dealers either by his location or a particular zip code. This will list all the dealers in that location along with their badges, ratings, reviews, comments and certified personal in different categories. This would allow an easy decision making process for the consumer to pick a dealer who has personnel certified by the OEM on this staff and with better ratings and reviews. Dealer personnel completions are pulled in real time from Sumtotal LMS and presented on the consumer portal. This has added value for the OEM’s to engage their dealers with required training and also helped dealers to get more inflow of customers based on the badges they see on the consumer portal. Dealers take pride in making sure their results show up on the consumer portal, so that stay advantaged over other dealers in their location. Overall with introduction of Training gamification and real time availability of data for the consumers in their decision making process, added value and ultimately led to increase in sales and profits and achieved ROI from training. 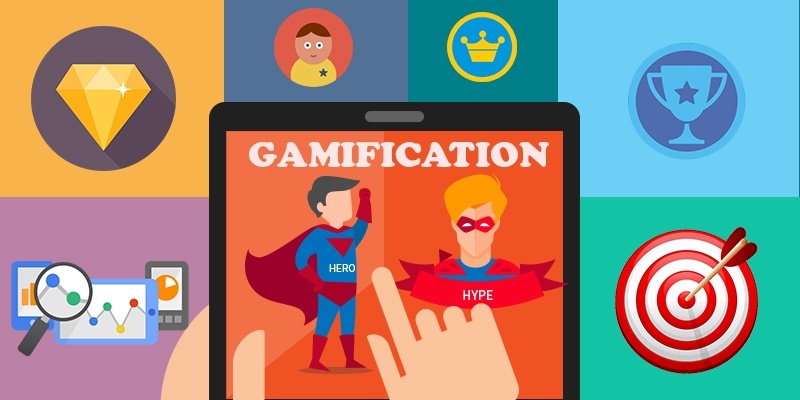 Gamification is well established in consumer marketing and is a growing trend in learning. 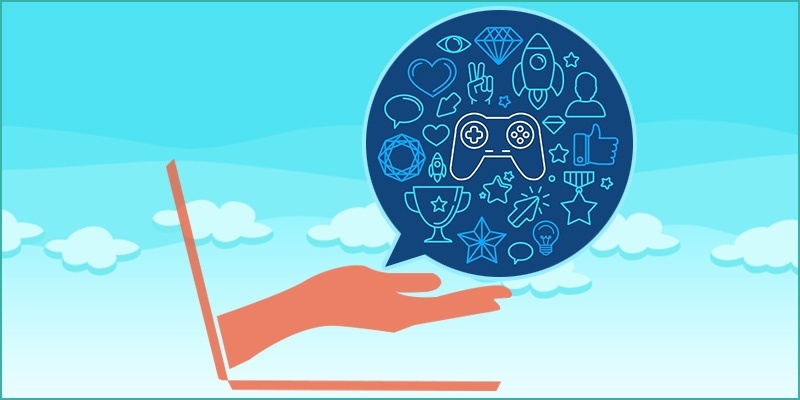 Done well, gamification gets results – in consumer marketing, performance management, and learning. In earlier articles, we have discussed preparing for gamification and selecting a design partner. Today we want to show you how to measure your results and calculate the return on your investment. What we are suggesting here is not a new breakthrough in analytics or a breathtaking scientific innovation. Our suggestions derive from research at the Wharton School of the University of Pennsylvania, industry practices, and our experience in practical applications. 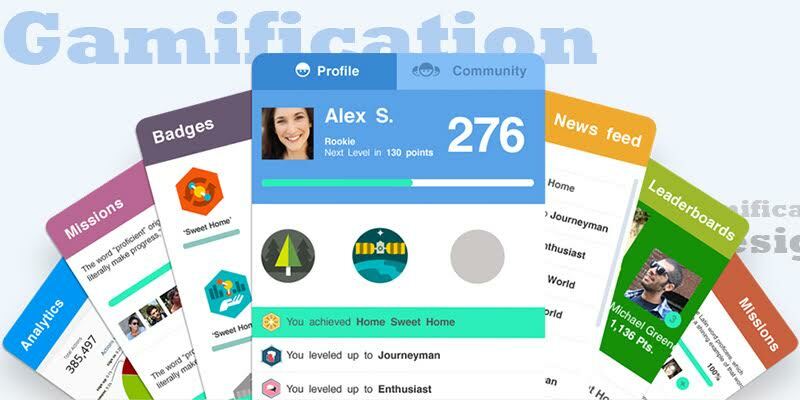 Prepare yourself with a good grounding in the behavioral science of gamification. We recommend For the Win: How Game Thinking Can Revolutionize Your Business by Kevin Werbach and Dan Hunter. For power readers, Why Games Are Good for Business: How to Leverage the Power of Serious Games, Gamification and Simulationsby Helen Routledge is an excellent book. Name a business problem or issue. Find what you want to change and quantify it. For example, increase Sales Per Hour (SPH) by 12%. Identify a specific behavior that influences results. In our SPH example, it could be how to overcome sales objections. Consider how changing that behavior will affect other behaviors and dynamics in relation business results. To illustrate, consider how a gamification to improve SPH in an outbound sales center without constraints will drive unethical behavior. A typical constraint in that case is a customer satisfaction score or customer returns. If possible, make participation voluntary. Coerced participation can diminish performance. Combine #1 and #2 into a goal and add a time frame. In our outbound sales center we could use the next quarter, next year, or a specific date. Describe the target group. In our simple example, it is outbound telephone sales representatives in a specific group or location. Consider a pilot program of one group, with other groups as controls. Design and deploy the solution. Every program is unique, so you will need to work with your design partner to devise an intervention that will work in your specific business case. Run your project for long enough to assess results. Allow enough time for extrinsic motivation to internalize. Overreacting to immediate results, whether positive or negative, may negate the effects of factors like socialization or motivational decay. Recognize that motivational programs have lifecycles, and yours will not be an exception. Once you have achieved success, multiply and expand your efforts, and be prepared to adapt your programs to changing conditions. We wish you success in your efforts to use gamification to improve your business results. 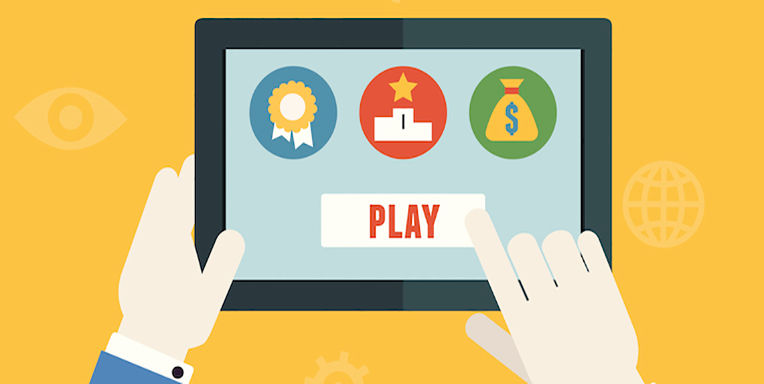 "People Love Games - but Does Gamification Work? - Knowledge@Wharton." Knowledge@Wharton. February 3, 2016. Accessed February 26, 2016. Routledge, Helen. 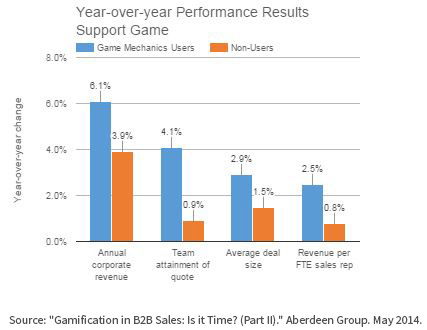 Why Games Are Good for Business How to Leverage the Power of Serious Games, Gamification and Simulations. London: Palgrave Macmillan UK, 2015. Werbach, Kevin, and Dan Hunter. For the Win: How Game Thinking Can Revolutionize Your Business. Philadelphia: Wharton Digital Press, 2012.